For many small businesses, cash flow is a major concern. And one thing that can affect cash flow is the availability of resources when you are paying for materials for a product – but do not have payment from your customer yet. This creates a shortage of capital, making it hard to pay for some of your other business expenses. One you can fix this problem is through the process of purchase order financing. Much of the time, you will find that your suppliers, especially those offering raw materials, want you to pay cash on delivery (C.O.D.). Unfortunately, your customers often pay their invoices on a different basis – 30 to 60 days after delivery. This means that the capital you are expecting comes rather later than expenses (labor, raw materials, shipping, etc.) that occur to get the product to your customer. A serious cash flow restriction can result. Purchase order financing is basically a short term loan. It is meant to finance the production costs of goods so that your capital remains available to you. If you have pre-sold the goods to a creditworthy customer, than you can finance their production with purchase order financing. The customer submits a purchase order for goods. You provide the goods and an invoice. You provide the invoice to a financer, who advances you the money on the purchase order, expecting to be paid back when you are paid. In some cases, though, the purchase order financing reverts to a traditional invoice factoring arrangement, and the financer may decide to collect on the invoice him or herself. Purchase order financing also works on already finished goods that you sell for drop shipping from a third part supplier – even if the goods are directly shipped to the customer. You can see how purchase order financing can help loosen the cash flow for your small business. The main benefit of purchase order financing is, of course, the cash flow issues that it solves. Instead of waiting for the customer to pay the invoice for that capital, you can get it up front. This leaves you free to buy what you need for your business, without having the stress of waiting and waiting on customers to pay their invoices. With purchase order financing, you can use your invoice as collateral – the promise of payment from a trustworthy customer. This means that you can get the capital you need without having to go through traditional methods of loan approval. If you have a new business, or a rapidly expanding business, it can be difficult to secure the small business loans that you need. With purchase order financing, you do not need to wait for that financing. It is ideal for the small business that does not have the ability to buy inventory or purchase raw materials on credit. Another benefit is the way the purchase order financing shows up in terms of debt for company: It does not show up as debt for your small business at all! That means that having purchase order financing will not affect your ability to get a loan later. If you find yourself in a position to get a small business loan later on down the road, the fact that you have used purchase order financing will not hurt your chances of qualifying. 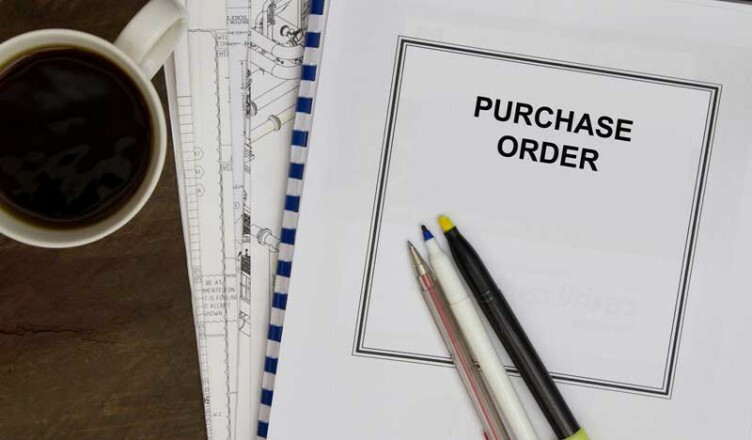 Purchase order financing is just one of the many creative solutions to small business cash flow problems. Your options extend beyond the mercy of a traditional bank. With tools like purchase order financing, you can keep your business running with the capital that it needs.